The Bachelor of Fine Arts (B.F.A.) seeks to produce graduates who have the ability to think critically about their work and to verbalize and write clearly about the relationship between the formal conceptual aspects of visual communication. Studio courses stress concentration and self-discipline leading to eventual self-expression; at the same time they provide an in-depth understanding of art and its traditional and contemporary principles and theories. 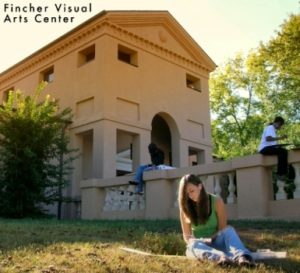 The Fine Arts Program prepares students for graduate work as well as a variety of careers in visual media. Follow Reinhardt University Art on Instagram.